I blew through this in one sitting - a very intriguing, and fitting end to this series. Howey has created one of the more dramatic, deep and interesting settings for a story I've ever read, and the potential for future work is incredible. 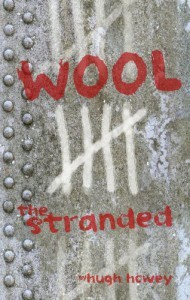 I can't wait to read the "Shift" series next, and I'm more glad than ever to have shelled out the money to buy the hardcover of 'Wool'.